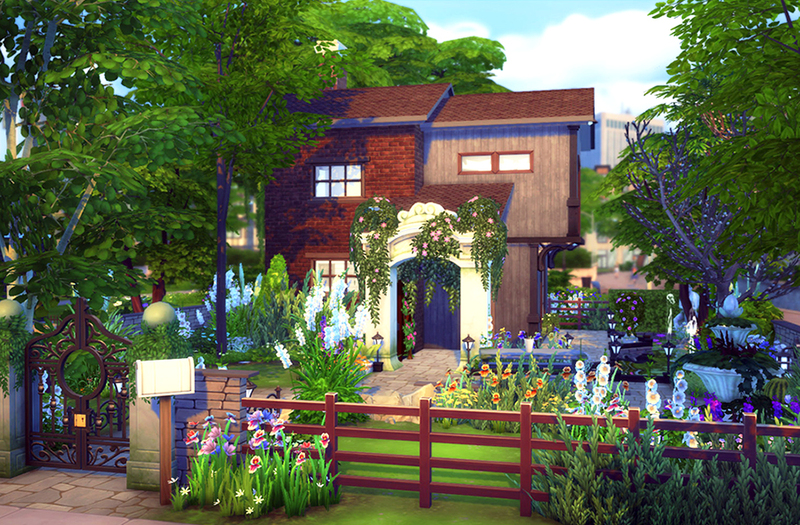 Here you can find bunch of already built houses and lots for the game The Sims 4. You can browse through our extensive collection, download and add them in your game for free. All creations available here are well constructed and thoughtfully designed. Have fun! 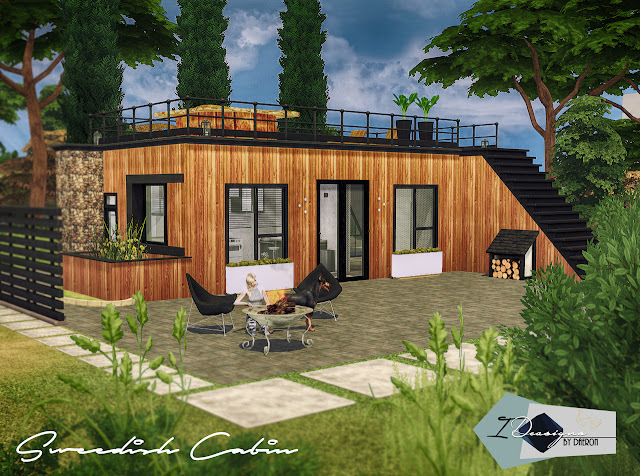 Inspired by the clean modern style of Casa Cúbica, this compact dwelling originally built from a small shipping container can house a single or maybe a couple in The Sims 4. 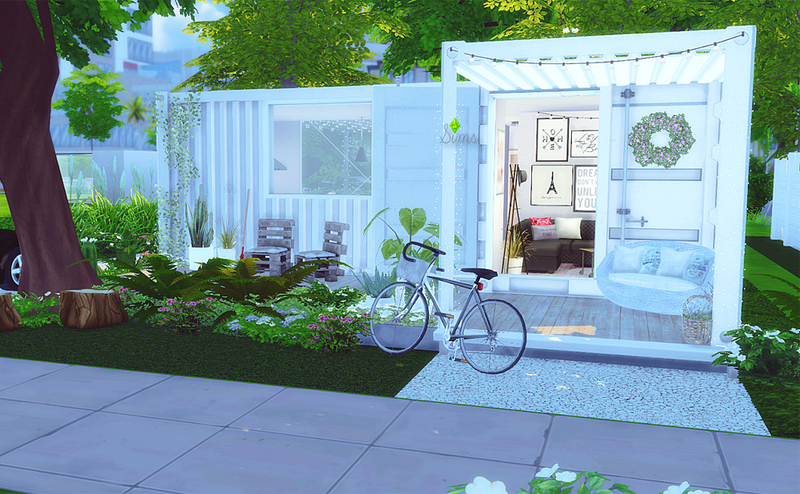 For some, having a small beautiful functional living space like this is way better than having a big house filled with unnecessary appliances and stuff your Sims never use. If you're feeling claustrophobic, you can always head upstairs to relax and enjoy the wide open deck enclosed by metal railings. You'll be amazed at how gorgeous this tiny home look and how precise the selection of appliances to fit the small space available inside. This residential unit only requires a 20x20 lot. It has one bedroom, one bathroom and comes outfitted with all the amenities you'd need to live well. For only §27,461, you can build this cabin in the world of your choice. This white house made from recycled shipping containers might look small from the outside, but it's not a compromise to live in. 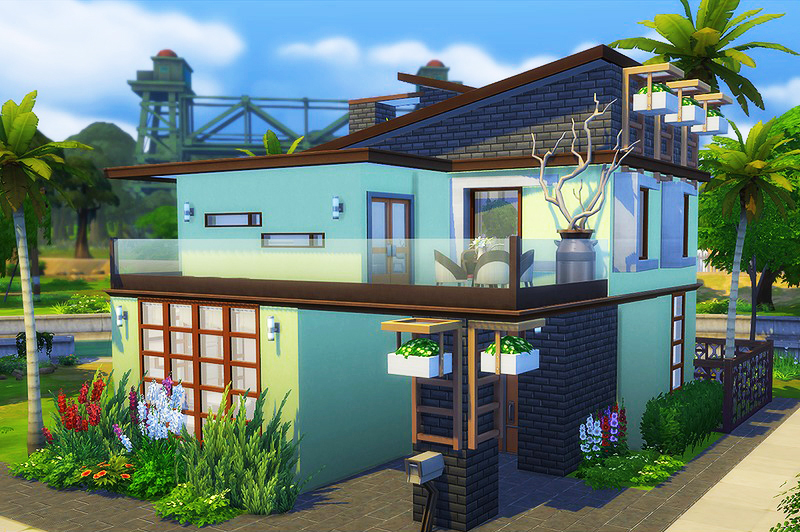 There's more than enough space for your Sims to move around thanks to the open layout room. You will feel at home the moment you step on the front porch. It has a functional kitchen, living room, and a separate bedroom. Primarily designed for a single person but it is capable of accommodating a couple. The structure is very simple and modernly decorated. Once you walk out the glass doors to the backyard, you'll want to spend your time out there, grilling food, swimming on the pool or lounging on the patio. To my fellow simmers who enjoy neat and tidy rooms, I hope you enjoy this minimalist lot. 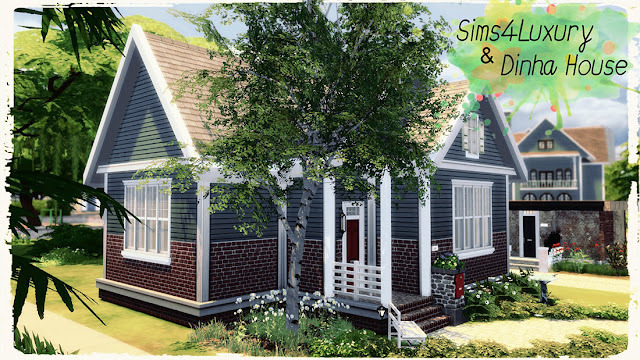 A contemporary house design provide an affluence of natural sunlight and comfy ambiance making it a perfect place for your Sims. This turquoise loft features a selection of economical materials such as the brick wall and the wooden door and window frames. The main room on the second floor lead out to a charming balcony perfect for leisure and entertaining. The structure is also surrounded by small plants and palm trees. Ideal for a bachelorette/bachelor, this home comes with 1 bedroom, 2 bathrooms, kitchen, living room and study room. It cost approximately §120,000 simoleons to build it on a 20 x 15 empty lot.